Yesterday’s submission, a query to an agent, took longer than I had anticipated so I didn’t get around to blogging, but today’s is done with time to spare. It’s the second time out for this newer story, rejected once only by a pro-rate venue. A cheeky tale with a chilling ending, I’m quite fond of it – which often is a mark of doom for my stories because I have quirky, eclectic tastes, so the ones I don’t like as much often fare better. If I find them a little dry or ordinary, they tend to find a home quite quickly. I’m working on a story, “Smiles All Around,” I hope to have finished by the end of the week. I’m writing it for a specific call. It is flowing nicely and ties in some of my work experiences. 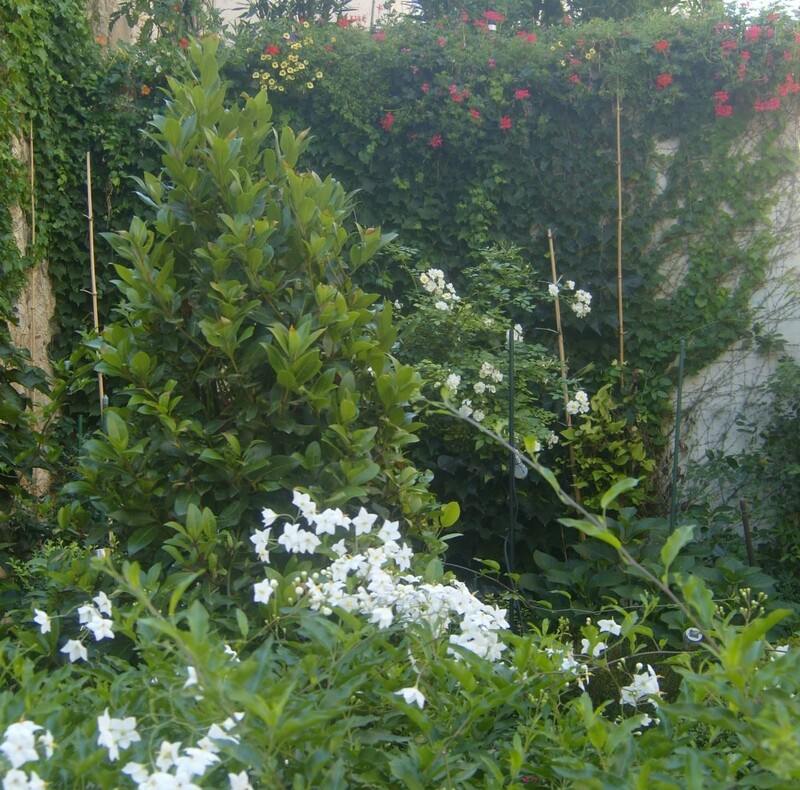 I also managed to squeeze in a bit of gardening, while the nice weather lasts. Frost will clear things out soon enough. In the meantime, things keep growing and I keep picking. My spotlight tonight is shining upon the author of the short story “Devil’s Cake” in The Grotesquerie. Quirky in a good way, this lady was born to be a writer, accompanying her earliest works with illustrations in crayon. We shared pages in the lycanthropic charity anthology, Shifters, from Hazardous Press and the Fear anthologies from Crooked Cat (I’m in Volume I, she’s in Volume II), but she has a great deal of other published writing, including short stories in a couple of the Satan’s Toybox anthologies from Angelic Knight Press. She also dabbles in genres other than horror. Her fans describe her work as “chilling” and “cringe-inducing” – sounds like she hits her mark. Discover more about Lisamarie at her website – http://themoonlitdoor.blogspot.ca/ or check out what she has to offer at her Amazon author page . It’s great to see a horror anthology dedicated to female horror writers, and the recommendations of stories written by these women. The premise was an interesting one and the anthology contained a diverse collection of tales with some well presented recommendations. Typical of any anthology, there were some stories I really enjoyed and others I wasn’t so keen on. In my opinion, the most enjoyable tales were gripping and straight to the point – as Chuck Wendig says:”Plain Stakes, Stabbed Hard Through Breastbone”. I believe a writer can hone in on the terrifying in either an obvious, visceral way or a more subtle, invasive way, and some of the stories achieved that. The stories that didn’t work for me were the ones that were too metaphorical, in some instances chaotically so, with endings that didn’t make much sense to me or seemed unnecessarily abrupt. Other readers may love these stories, but I didn’t. I think the editors may have been looking for a more “artistic” approach to horror with these, but I found them less engaging and less frightening as a result. Overall, this was an entertaining anthology, but there were a couple of things that disappointed me – first was the number of stories written by men in an anthology dedicated to female horror writers. Submissions were open to all writers, so it didn’t come as a big surprise, and I understand the editors wanted to show female horror writers have influenced both male and female writers alike but I feel the best way to honour females in the genre is to showcase their work, not just praise it. I also didn’t like certain parts of the format. What I consider the best story in the anthology was first in the line-up, lending to a bit of a let-down after that. I also think that the extra recommendations included in the anthology should have been interspersed amongst the stories, rather than all lumped together at the end. The introduction by Lisa Morton was superb, noting discrimination women writers face in the genre and stating examples she has encountered. She also pointed out, in a very passionate way, that successful female horror writers need to be recognized and celebrated or risk being forgotten. The opening story, “Crash Cart” by Nancy Holder was both disturbing and frightening on many levels. It was a no holds barred story where the horror exists in the villain, the victim and the protagonist alike. This was my favourite story in the anthology. Other stories I really enjoyed included “Hollow Moments” by R.S. Belcher- a chilling tale bent on striking fear in those of us who spend much of our lives thoughtlessly plodding through the routine and not really living, “Red Is the Colour of my True Love’s Blood” by Colleen Anderson – a vividly frightening story that blends colours and associated emotions and states of mind with unpleasant events, “Beavers” by Rachel Karyo – a disturbing tale that delves into how becoming a new mother without the proper supports in place can lead to mental instability, and “Pinprick” by Scathe meic Beorh – a story I appreciated in particular because of its dark humour. The story recommendations were real gems and introduced me to writers that are now on my “to-read” list – a proper bonus to the anthology. While I might have changed a few things about it if I could, I did enjoy this anthology and I’m including it on my recommended reading list. The Sad Story of the Death of a King (Jane Wright) – One of those stories so well written its invisible – by that I mean you no longer recognize that you’re reading and just become one with the story. Great characterization and excellent imagery that dragged me back to my old days Trick-or-Treating. It Sticks with You (Kim Krodel) – Brilliant storytelling and very much fear inspiring. I consider a story particularly special if it gives me goose-bumps – this one gave me a serious case of goose-bumps. The Lost Souls (Laura Huntley) – This story was very moving and actually made me cry, although it was more disturbing than frightening. The tale was well told. The author manages to generate sympathy for even those who were doing something heinous and I really connected with the main character despite the limited format of a short story. Scarecrow (Liam Hogan) – An excellent example of a story purely based on fear. It’s a simple premise but very well executed. It gave me a satisfying conclusion for the protagonist but still leaves you wondering what became of the poor farmer. The Living Eucharist (A. Taylor Douglas) –Wow! I really enjoyed this one. 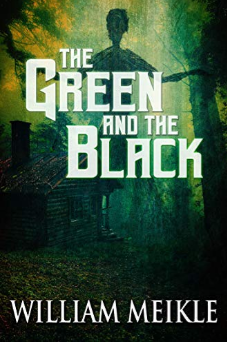 The characters were lifelike, the events of the tale just strange enough to be interesting, without being overdone, and the narrative flowed smoothly. The ending was particularly chilling. The Honeymoon’s Over (E.E. King) – A clever little story with just the right amount of detail and an interesting twist. I’m sure there will be more to come from Crooked Cat and these talented writers. I give this one four out of five stars.